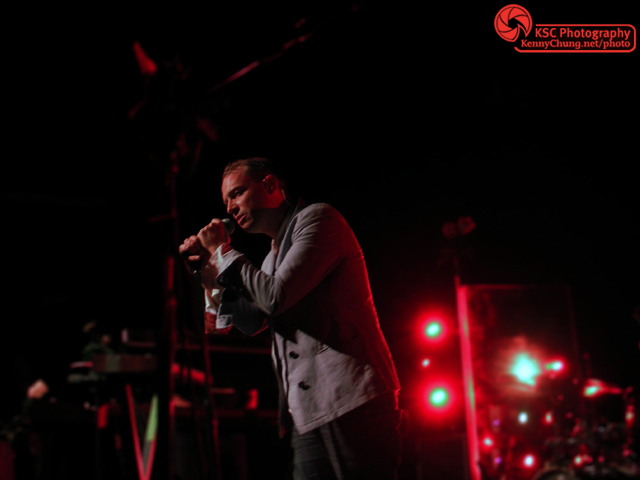 Stars announced a special intimate Brooklyn show during their Terminal 5 concert two days prior. For videos, check out my Stars Littlefield, Brooklyn playlist. 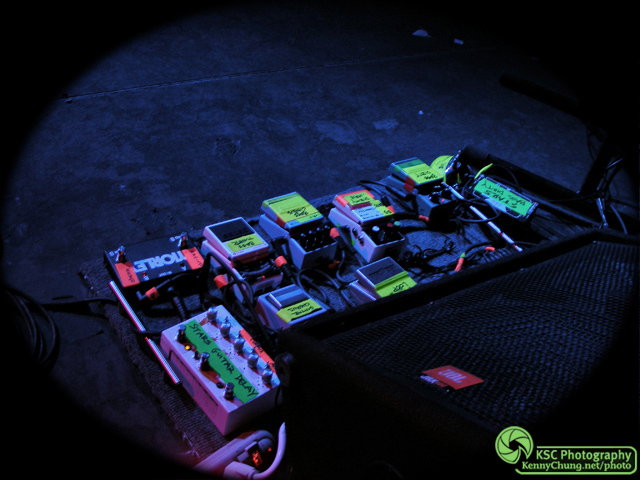 Before Stars took the stage: Amy Millan's pedal board with all of her effects. 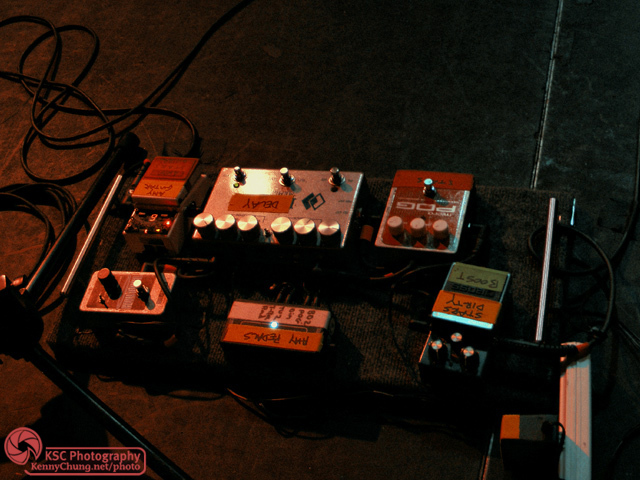 Stars' Evan Cranley's many effects, for both bass and electric guitar. 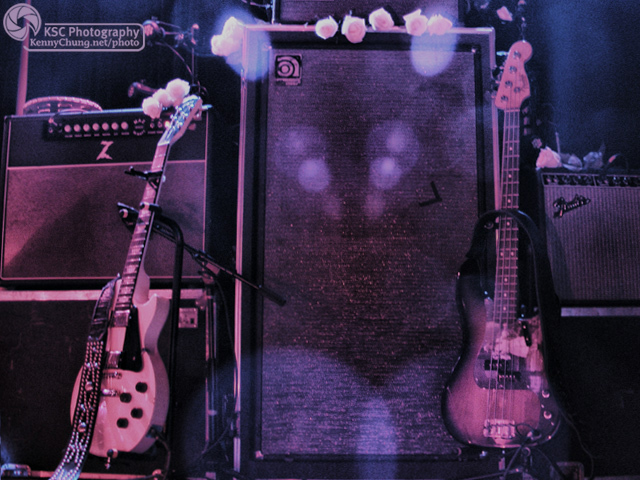 Amy Millan's Gibson Les Paul Studio and Evan Cranley's Fender P-Bass. 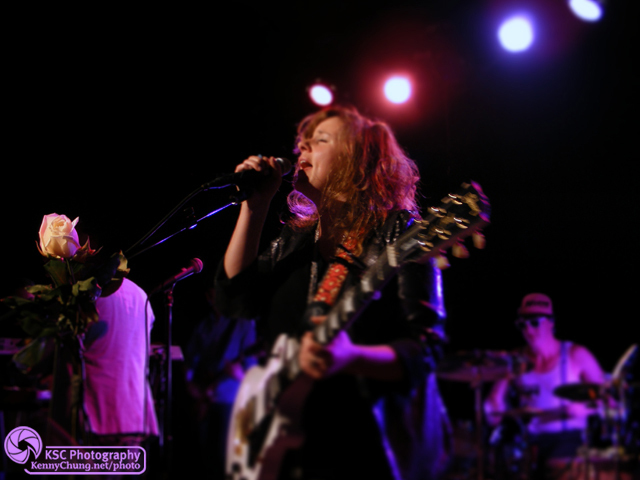 Stars' Amy Millan singing on stage at Littlefield, Brooklyn. 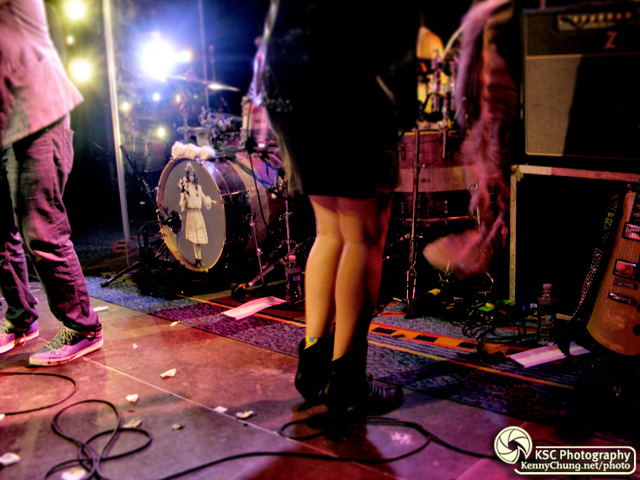 Amy Millan's dancing feet. She had a colorful bandage on the back of her left ankle. There are also white rose petals that the band loved throwing into the crowd. 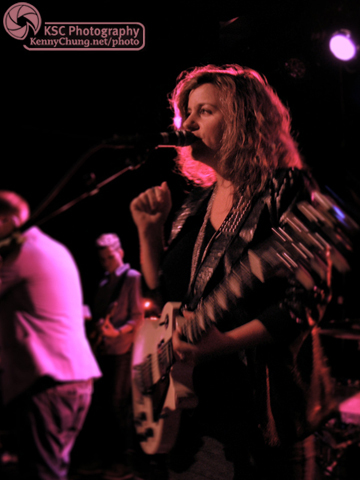 Amy Millan singing with drummer Pat McGee in the background wearing his sunglasses. 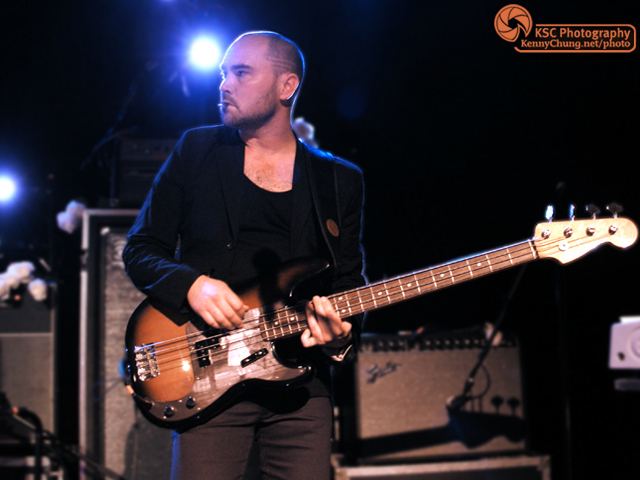 Stars' Evan Cranley playing his Fender Sunburst P-Bass with a custom "The Five Ghosts" pickguard. Torquil Campbell closing out the amazing Littlefield, Brooklyn set.